If you are looking for a general dentistry in Fairhope then look no further. As a general dentist in Fairhope, AL SweetWater Dentistry provides several services from cleanings, fillings, and even root canals. 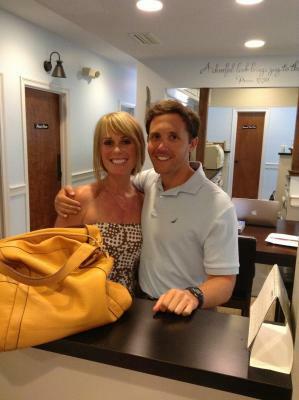 Dr. Greer is a great choice for your local Fairhope dental needs! Dr. Phillip Greer is a native of Mobile, Alabama. He received his Bachelor of Science degree in Marine Biology from Auburn University and his Doctor of Dental Surgery from Meharry Medical College in Nashville, TN. He is currently a member of the American Dental Association, Alabama Dental Association, and the Christian Medical and Dental Association. Dr. Phillip Greer has received additional training in laser technology and implantology. His career has been shaped by Dr. John Morgan, an orthodontist in the Mobile Bay region who passed away from brain cancer in 2001. Dr. Greer’s life was significantly impacted, thus leading to the pursuit of dentistry and the desire to continue the legacy of his mentor. SweetWater Dentistry was established in honor of Dr. Morgan. Dr. Greer has also served on the mission field providing oral healthcare needs to many Latin American countries including Mexico, Honduras, and Peru. He is married to his wife Ashley and is now delighted to be serving the Mobile Bay region. So come see your local Fairhope dentist today, Dr. Greer provides excellent patient care.